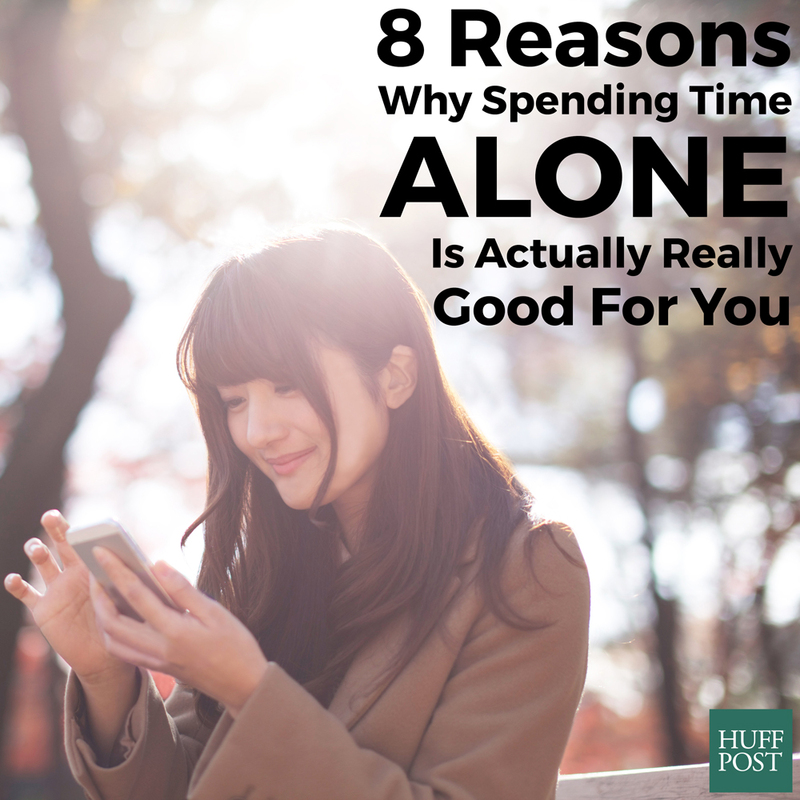 Americans have a complicated relationship with alone time. Though we often feel a constant connection because of social media, the fact is, we're more on our own than ever: More than 50 percent of American adults are single, and some 27 million people live alone. In 1950, just 22 percent of American adults were single, and 4 million lived alone. Combine that with people getting married later in life, and we're all just having more QT with ourselves. You'll have just as much fun. Think you'll have a terrible time at the movies alone? That's probably not the case. In fact, you'll have an equally good time partaking in fun activities on your own as you would if you were doing them with other people, according to a study conducted by business professors Rebecca Ratner of the University of Maryland and Rebecca Hamilton of Georgetown University. The not-so-fun part comes in when you're thinking about how others are perceiving your aloneness and worrying that they simply think you have no one to hang out with. "[The research] provides empirical support for a key premise of our investigation: consumers who forego hedonic activities alone are missing out on opportunities for rewarding experiences," the researchers wrote, according to Science Of Us. If you're a fan of brainstorming with others, you might want to rethink that. When coming up with ideas and strategies, research shows that people come up with their best material on their own. “Decades of research have consistently shown that brainstorming groups think of far fewer ideas than the same number of people who work alone and later pool their ideas," Keith Sawyer, a psychologist at Washington University in St. Louis said, according to The Washington Post. ... And probably make you work harder. Remember group projects in school? There was always someone who wasn't pulling their weight, and that's because of the concept of "social loafing" or the assumption that less effort has to be exerted because more than one person is involved. Taking on a task alone is probably the best way to get it done quickly and efficiently. If you're an introvert, alone time is key to your happiness. It's no secret that introverts interact differently with the world -- and one of the most important things to introverts is their solo time. Taking on activities on your own can help you meet new people. If you've been feeling a little lonely lately, try taking on one of your favorite activities on your own. Not only will you have fun, but you might meet someone who shares your interests. While traveling alone, for example, Ratner said she made social connections easily. “I found myself talking to people more alone than I normally would traveling with other people, when you’re more insulated,” she said, according to Science Of Us. A 1997 study found that alone time was key for teens. “Adolescents … who spent an intermediate amount of their time alone were better adjusted than those who spent little or a great deal of time alone,” explained the study, authored by emotional development expert Reed W. Larson. It helps clear your mind. Our brains need to rest and recharge in order to function as well as we want them to. So even if you're not an introvert, alone time is still important for processing and reflecting. "Constantly being 'on' doesn't give your brain a chance to rest and replenish itself," Sherrie Bourg Carter, Psy.D. wrote in Psychology Today. "Being by yourself with no distractions gives you the chance to clear your mind, focus, and think more clearly. It's an opportunity to revitalize your mind and body at the same time." You get to do what you actually want to do. If your friend or partner wants to spend the day watching football and you'd rather spend it on a hike, choosing the solo path will probably end up being a lot more fun for you. Similarly, if you decide to take an entire day for yourself, you get to spend that day doing exactly what you want to do. Doesn't sound too shabby, does it?